RESPONSE TO THE WHITE PAPER COMPENDIUM ON THE REFORMS OF THE POLISH JUSTICE SYSTEM, PRESENTED BY THE GOVERNMENT OF THE REPUBLIC OF POLAND TO THE EUROPEAN COMMISSION – Stowarzyszenie Prokuratorów "Lex super omnia"
This response to the White Paper compendium presented by the Government of the Republic of Poland to the European Commission was prepared by the Polish Judges Association “Iustitia”, together with a team of experts, in order to present a realistic picture of the reforms of the Polish justice system, which have been made in Poland over the last two years. The response is designed in the following manner: the argument contained in the document prepared by the Government of the Republic of Poland (written in italics and presented within inverted commas) is first cited and this is followed by a response to this argument presented by the “Iustitia” Association. The “Iustitia” Association will present a comprehensive response to the White Paper in a separate document. I. WHY DOES POLAND NEED TO REFORM ITS JUDICIARY? The research results cited in the White Paper were chosen selectively “to support the argument”. In the case of people whose assessment of the judiciary arises from personal experience, similar numbers of respondents have positive and negative opinions about the courts – with slightly more to the favour of the judiciary (50% compared with 45%). The low level of confidence in the judiciary in Poland is related to the general low level of confidence in the legal system, which is caused by legal inflation. 27,118 pages of typescript of new acts of law of the highest order (statutes and regulations) were passed in 2017 in Poland. This was 15% less than in the previous, record year, when 30–32k pages of new legal acts were published. Additionally, according to the World Justice Project 2017–2018 ranking, the Polish judiciary can boast that it has a good result on the scale of the lack of corruption (a value of 0.86, where 1 is the ideal situation). The legislative authorities are at the opposite end of the scale with an index of 0.52. In attempting to suggest what judges believe affects their independence, it would be necessary to review the studies conducted by the European Network of Councils for the Judiciary. In the survey, in which a third of the judges in Poland had doubts that promotion is based on merits, this criterion was assessed worst by the Spanish judges. 74% of them considered that judges are appointed in their country on the basis of criteria other than experience and competence and as many as 84% criticized the promotion procedures in this respect. Meanwhile, the Minister of Justice cites Spain as being precisely the model to follow when reforming the Polish justice system. Hard statistical data, namely data based not on the observer’s feelings (such as in the World Bank rankings), but on data from judicial repertories, indicates that processes in Poland are not excessively long compared to other European Union countries. According to the EU Justice Scoreboard, Polish courts are in the middle in terms of the time needed to end a civil / commercial case in first instance. Poland was simultaneously in fourth place in Europe in terms of the number of cases received by the courts of the first instance per citizen (this was approximately 26 cases per 100 citizens; in comparison, in the Czech Republic, it was approximately 9 and in Italy approximately 6). As for the number of judges per 100,000 inhabitants, according to the EU Justice Scoreboard, Poland is in 8th position, while the number of judges is declining each year. However, there is no institution in Poland of non-professional standing judges at all, whereas France, for instance, has approximately 6,900 such judges, while Spain has approximately 7,600. This obviously affects the reliability of the comparisons made by the Polish Government. As for the financing of the courts, the situation is presented by official EU statistics, which show that Polish spending on courts is around the European average (EU average = EUR 36 per capita, Poland = EUR 37 per capita). The claim that the Polish judiciary had not accounted for its communist past is untrue. 81% of the members of the Supreme Court (hereinafter SC) were replaced in 1990. Simultaneously, the people who remained in the Supreme Court were individually appraised. They were three people in the Criminal Chamber of the SC, two of whom are deceased, while the third is 87 years old and has not passed judgement for a long time. When appraising these three people, the new management of the Supreme Court and President Adam Strzembosz concluded that they had not behaved in a manner that defied the dignity of a judge. In 1990–2000, the National Council of the Judiciary refused to allow 511 judges to adjudicate after reaching retirement age. Under the lustration laws (1997), 42 judges and 21 family members of deceased judges who adjudicated in the courts and bodies considered to be bodies of repression were deprived of their retirement and benefits. The judges who have been promoted to the Supreme Court over the past 27 years were those who were adjudicating in the lower instances at the time of martial law (1981–1983). Out of 93 judicial positions, the SC has 6 such people. Accusing them of “unworthy conduct” and bringing them to justice with regard to the ability to adjudicate would require an individualized (criminal or disciplinary) appraisal. Meanwhile, the remedy implemented by the Polish Government in the form of the systemic reform of the Supreme Court and the dismissal of 40% of the judges is a completely disproportionate measure. In the light of the case law of the ECHR, the mere unverified conclusion that unspecified judges are unworthy to adjudicate cannot constitute grounds for shortening their terms of office as Supreme Court judges, as well as shortening the term of office of the President of the Supreme Court, in an unprecedented manner. Such actions constitute a breach of the principle of irremovability of judges, which is the quintessence of independence (see the ruling in the case of Baka v. Hungary (judgement of 27 May 2014, Chamber (III) Application No. 20261/12). The argument contains a manipulation of the facts: the demonstration that examples of dishonourable historical adjudication enable the allegation to be raised that the current members of the SC are unworthy of the dignity of a judge. “The suppression of civil liberties and the violation of human rights” by the courts comes from the period of Stalinism (1940s–1950s) and adjudication under martial law (1981–1983). There are no longer any judges from the first period in the Polish judiciary because so many years have passed. The examples given in the White Paper are a testimony of history, bearing no relationship to the judgements of the current SC judges, but creating the impression that such a relationship exists. The representatives of the Polish Government accused one of the judges of the Military Chamber of the SC of “entanglement with agents”, even though the Institute of National Remembrance acknowledged that his negative lustration declaration was true and his files were examined by the Public Interest Ombudsman. The argument has four sentences and as many false statements as to the facts and the conclusions from them. The sentence “Modern democracy is based on the principle of checks and balances between the authorities” is true. The falseness is based on the checks and balances of the authorities and their disturbances being reduced to the matter of the immunity of the judges. The fact that the White Paper mentions nothing of the unconstitutional destruction of the checks and balances in the years 2015–2018, which was described in the Venice Commission’s documents, (regarding the system and rules of operation of the Constitutional Tribunal, the Supreme Court and the National Council of the Judiciary) is also a falsity. clientelism and nepotism, e.g. being visible in the elections to the National Council of the Judiciary, as well as the influence of the Minister of Justice on the appointment of presidents and vice-presidents of the courts – 149 people, of a total number of 730 posts, were replaced in six months). It is untrue that the judges “have not borne any real responsibility for the conduct which is unworthy of a judge”. Poland has had full transparency of disciplinary proceedings before the SC for many years: every citizen can come and observe disciplinary hearings. All judgements are published together with their justifications. Full disciplinary court statistical data and analyses of disciplinary judgements can be found in the annual reports on the activities of the Supreme Court, also published electronically on the SC’s websites. The argument about the culture of formalism is groundless. It is difficult to say where the authors of the White Paper find support for the assertion about the popular belief regarding the conduct of certain judges. It is also not known how many of these judges there are. The manipulation is also based on the fact that there is no simple dependence: “a formally correct judgement is equivalent to an unjust judgement”. Formalism is actually one of the guarantees of a fair hearing and legal order itself. The lack of reliability of this argument is evidenced by the fact that the Ministry of Justice has proposed changes to the civil proceedings in commercial cases, which significantly increase the formalism of these proceedings, which will undoubtedly adversely affect the ability for entrepreneurs to assert claims. The Prime Minister’s Legislative Council also highlighted this. The argument that the source of the cult of formalism (in so-called certain judges) is also supposed to be disorder in the mechanism of checks and balances is completely incomprehensible. It is difficult to guess what impact the checks and balances have on the formalism of court proceedings. Perhaps this means that the deformalization of proceedings should be based on judges taking into account current political needs in their judgements. This could be suggested by the argument about the lack of “external stimuli to adjudicate differently”. A judge should adjudicate on the basis of the law and his conscience and not on the basis of external stimuli. This is what the independence of judges is based on. The fact that external stimuli can mean political pressure may be confirmed by the words of the deputy justice minister, Łukasz Piebiak, who said: Judges should always be on the side of the State. (…) The conduct of judges is dangerous when the judges turn against the legislative and executive authorities. A body of 10,000 judges will always have black sheep, whereas our task is for there to be as few as possible, and to mercilessly eliminate those that are found.” Parliamentary Deputy, Stanisław Piotrowicz spoke out similarly, explaining that “he meant that a qualitative change should be made in the case of judges who are to become people of a subservient mentality with respect to the State and the nation.” These quotations, in combination with other statements of the ruling party’s politicians indicating that they believe that the objective of the changes is also to make personnel changes in the membership of the Supreme Court, indicate a dangerous trend of making judges’ careers dependent on political decisions. The expression by the government’s representatives of the expectation that judges will place the interest of the State ahead of other values contradicts the idea of a State based on respect for individual rights and freedoms. 9. “Safeguarding independence, restoring equilibrium. It would be completely wrong to subordinate the judiciary to other branches of government – and our reforms do not provide such subordination. The main purpose of the reform is redressing the balance, while safeguarding and even enhancing all guarantees of independence, and to create mechanisms that would prevent the ills which the judges have not been able to fix on their own. This argument is both untrue and cynical. The changes introduced in Poland over the past two years are a public assault on every person’s right to a hearing of his case by an autonomous court and an independent judge (Article 45 of the Constitution of the Republic of Poland). They breach the guarantees of judicial independence. In place of the checks and balances, the governing authorities are introducing the principle of a uniform State of authority with subordinated and politicized courts. The models of these activities stem from communist times. The Constitution of the Republic of Poland, like other acts of law, should be read holistically instead of selectively choosing selected regulations. In the political debate, the justification for the changes for those who are devastating the judiciary is Article 4 of the Constitution of the Republic of Poland. According to this Article, supreme power in the Republic of Poland shall be vested in the Nation. This provision allegedly gives rise to the omission of other rules, including primarily that the system of government of the Republic of Poland is based on the separation of and balance between the legislative, executive and judicial powers (Article 10) and that the courts and tribunals shall constitute a separate power and shall be independent of other branches of power (Article 173). Meanwhile, the Polish Constitution can be applied in such a way that does not lead to a contradiction between Article 4 and other regulations. The authors of the White Paper write about the creation of mechanisms to prevent the ills which the judges have not been able to fix on their own to date. This is a further manipulation. Firstly, it should be pointed out and proved that ills are actually present. In no way are the judges evading cooperation and the debate on the necessary changes. They are presenting their draft changes. Unfortunately, neither the representatives of the ruling party nor the President of the Republic of Poland are taking up a dialogue with the judges. Judges are definitely in favour of increasing the involvement of the civic factor in the courts (Article 182 of the Constitution), and therefore the direct involvement of citizens – without intermediation from the politicians – in the administration of justice. They have prepared several draft changes on this matter (including on non-professional judges in commercial matters), they are prepared to hold a discussion of justices of the peace (an international conference on this has been organized in Warsaw for 23 April). The judges are in favour of full transparency of disciplinary proceedings, processes of nominating judges and elections to the National Council of the Judiciary (submitted by the Iustitia Association and draft Acts after public consultations). II. WHY ARE THE REFORMS PROPORTIONATE AND JUSTIFIED. This argument is in conflict with the rest of the document, as it points to the recommendations of the Venice Commission regarding the membership of the judiciary and simultaneously, another part of the document mentions that the number of judges in the NCJ will not change. It therefore seems that the remarks contained in this point are futile. Regardless of this, it should be pointed out that, in some opinions, the Venice Commission indicates that excessive dominance of the judicial factor in the Council may have adverse consequences for disciplinary proceedings if the Council has significant powers with respect to them. Simultaneously, the Venice Commission does not support a model in which all the members of the Council would be judges. However, the Commission simultaneously repeatedly points out that judges should constitute at least a significant proportion, if not the majority of the Council. For example, a proportion of the order of one-third is considered too low. Further standards in this respect are presented by organizations affiliated to the Council of Europe (including CCJE) and ENCJ. The government of the Republic of Poland overtly manipulated this argument. This is because the government quoted one of Andrzej Rzepliński’s statements from a period when he was not a judge of the Constitutional Tribunal. In one of the interviews, which he gave as a lawyer handling the defence of human rights, Andrzej Rzepliński presented a view of the judiciary that, in terms of assuring the greatest possible representation of the judiciary in the Council, changes are needed in the Act on the NCJ. Indeed, district court judges, who constitute the largest group of all judges in Poland, have not been appropriately represented to date. However, in order to achieve this objective it would be sufficient to set limits guaranteed by law for judges at various levels of the courts in the NCJ (e.g. so that there are at least five district court judges). The Iustitia association of judges presented a complete bill on this. The bill assumed, among other things, full democratization of the election of members/judges to the NCJ by introducing direct elections by all judges (Italian model), public hearing of candidates, the ability of citizens to nominate candidates, the introduction of guaranteed limits of judges at individual levels of the courts in the NCJ, so that the judges of the district courts are most represented in the NCJ. However, this bill was completely ignored by the parliamentary majority, which, when rejecting it, refused to even discuss it (arguing that the bill was late, even though it was submitted on the same day as the government bill). At the same time, not only is the Act on the NCJ, which is currently in force, obviously in conflict with the Constitution, which will be discussed later, but it assumes a complete lack of transparency. Almost all new members of the NCJ are directly or indirectly connected with the Minister of Justice (the candidates are judges who were delegated to work at the ministry, or newly appointed presidents of courts and family members of newly appointed presidents). In addition, the Marshal of the Sejm refused to disclose the letter of support of the individual members, and therefore it is impossible to verify the compliance of the choice with the new Act. 12. “The National Council of the Judiciary will be more balanced. Polish Constitution provides that there should be no less than 17 judges in a 25-strong council (i.e. over 2/3 majority) – and it remains so after the reform. Election is made by the Parliament – but only out of candidates put forth by at least 25 other judges or 2.000 citizens. They are nominated for a fixed, joint 4-year term and cannot be revoked – thus, there is no risk that anybody would exert pressure on the members of the Council after they are elected: there is no means to do it. It can be compared to other public offices appointed by the Parliament, e.g. the Ombudsman: nobody claims that he is a political tool of parliamentary majority, as there are sufficient guarantees for his independence – and that is exactly the case with NCJ members. The Venice Commission supports a balanced representation of judges from various (including the lowest) levels and types of court, but with the simultaneous careful definition of the criteria and proportions in this respect. The applicable Acts do not contain any conditions in this respect. Furthermore, as indicated in the commentary to argument 11, the method of selecting judges/members of the NCJ enables politicians to take full control over this process, as evidenced by the fact that the vast majority of judges/candidates to the new NCJ are connected with the Minister of Justice. However, of greatest importance is that, according to well-established European standards (see Recommendation of the Committee of Ministers of the Council of Europe of 2010), at least half of the members of the judiciary should be judges chosen by judges from various levels of the judiciary in order to maintain pluralism within the judiciary. It is the Member States that decide whether or not to establish a council of the judiciary, but if they decide to do so, as in the case of Poland, they have to guarantee its independence, in accordance with European standards (see Commission Recommendation of 20 December 2017 regarding the rule of law in Poland C(2017)9050, item 34). Denmark: Eight out of 11 members of the governing board of the Danish Court Administration are representatives of the judiciary, five of whom are people practicing the profession of judge; in the Judicial Appointments Council, three out of six members (including the Chair – with the decisive vote) are judges. Netherlands: – the majority of the Council (two out of three, two out of four with the decisive vote of the chair – a judge or three out of five members), or at least half have to be judges. Two of the current four-member Council are judges who are representatives of the judiciary and judges nominated by the judiciary. One of them always holds the post of chair, the other substitutes him in his absence. Spain – although the final decision regarding the appointment of members of the Council is made by the parliament (this is an exceptional situation in Europe), candidates are only nominated by the judiciary. In addition, the initial verification of the list of candidates is kept not by the presidium of the Cortes but by the Electoral Commission (Junta Electoral) consisting of representatives of the judiciary, headed by the President of the Supreme Court, who has to take into account the representativeness of the candidates, in particular, in terms of belonging to individual levels and types of court. The argument that “all significant changes are perfectly in line with the rule of law” is completely groundless. Since the argument regarding the extraordinary complaint does not directly refer to the matter of the independence of the judiciary, the authors of this response are not addressing it, although it gives rise to serious constitutional reservations. With regard to the argument regarding disciplinary proceedings, the Venice Commission negatively assesses any influence of the Minister of Justice on the disciplinary proceedings of judges. Likewise, the idea and method of introducing lay judges to the Supreme Court has encountered criticism from the Venice Commission. It should be pointed out that, in the judgement of 30 November 2010 in Urban v. Poland, the ECHR concluded that Polish trainee judges have no judicial independence, referring directly to the judgement of the Constitutional Tribunal of 24 October 2007, case No. SK 7/06, where the CT held that: “international standards that are binding on Poland indicate many possible solutions, in accordance with the principles of the rule of law. These standards should be applied by the lawmakers when looking for a solution. In any case, such solutions should be sought that will guarantee the actual separation of the third authority from the other authorities (Article 10 of the Constitution), loosen the bond between trainee judges and the minister of justice and ensure that the National Council of the Judiciary has an influence on the professional career of a judge in spe.” Meanwhile, during the legislative work, the person appointing the trainee judge was changed from the President, on the motion of the NCJ (as in the case of judges), to the Minister of Justice. 14. “And there is more to the reform. The Commission – while accusing Poland of arbitrarily picking features of diverse legal systems and putting them together into one – itself fails to take note of a big portion of solutions that either have been here for a long time or have been introduced by the recent changes. Thus, the Commission – censuring Poland for cherry-picking – actually embraces that approach itself, ignoring those features in our legal system that provide for proper safeguards of judicial independence and render concerns about threats to the rule of law groundless. It is untrue that the legal system in Poland, in the shape given to it over the past two years, ensures that judges have appropriate guarantees of independence and makes concerns about the threat to the rule of law groundless. The fact is that legislative work intended to reform the justice system is deep and affects many aspects of its functioning. In particular, it is targeted at those elements that assure judges of appropriate guarantees of independence. They weaken the systemic position of the judge and breach the principle of separateness of the judiciary, which is fundamental to the rule of law. These actions are conducted multi-directionally and encompass the Constitutional Tribunal, the Supreme Court and the National Council of the Judiciary. The devastation of the CT, leading to the loss of the authority required to perform constitutional functions, has deprived the courts and judges of an arbitrator for objectively assessing the actions of the political authority, which are targeted at the judiciary. The newly formed NCJ has essentially been subordinated to the legislative authority, which has a decisive influence on its membership. The members of the NCJ are no longer chosen by the judges. A Council formed in this way will not be able to perform its constitutional tasks, namely to uphold the impartiality of the judges and the independence of the courts. Changes in the SC, in particular the replacement of a significant proportion of its members, creates the threat of destabilizing adjudication. Serious concerns are also related to changes in the disciplinary proceedings of judges. They can be used to bring judges to justice for the content of judgements that are issued and for their non-adjudication activities in the public sphere, especially given the statements of some politicians from the ruling party. In view of the above actions, Polish judges do not have effective tools for protecting their independence. It is untrue that the changes that have been introduced significantly reinforce the independence of judges. The new regulations provide for solutions which are supposed to positively influence the situation of the so-called “rank-and-file” judge, while limiting the arbitrariness of the decisions of the court presidents and the heads of divisions. However, they do not counterbalance the adverse changes affecting the principles of impartiality of the judges and the independence of the courts, which is fundamental to the constitutional order. The new institutions indicated in this argument (the system of random allocation of cases and new rules for transferring judges between court divisions) do not significantly strengthen judicial independence. Nor is it strengthened by the alleged “greater influence of rank-and-file judges on the composition of the National Council of the Judiciary”, since the judiciary has been deprived of the ability to elect Council members. It is untrue that judge candidates are only nominated from among the people recommended by the judiciary. The NCJ may refer a judge candidate, who did not receive a positive opinion of the self-government of the judiciary (the general assembly of the judges from the region), and in this sense a recommendation from the judiciary, to the President. The decided majority of NCJ members, including judges, are currently elected by politicians (the Sejm, Senate and President). Judges are entitled to immunity and every judge is appointed for life (with the right to adjudicate until retirement due to age, whereby this age has recently been reduced and the minister has been granted the discretionary power to give his consent or not to the later retirement of the judge). Nevertheless, the situation in which the courts lose their independence and the influence of the other authorities on their functioning deprives the judiciary of its separateness and also affects the position of the judge. The current changes restrict the – already limited – powers of the judicial self-government. The administrative supervision of the Minister of Justice over the general courts has been strengthened considerably. All decisions of importance to the functioning of the courts are made by entities which are hierarchically subordinated to the Minister. The powers of the judicial self-government to appoint presidents of courts are even less now than was the case before 1989. The presidents still have the means to exert pressure on a judge. The President may not extend the deadline for preparing a justification for a judgement and may then initiate disciplinary action against the judge for the delay in this respect. He may refuse consent to stopping the judge from assigning cases even though he has received a case requiring an extraordinary workload. He may also not grant leave on demand and may make a substantial proportion of a paper subject to personal supervision, which would be related to the need to prepare time-consuming and hence burdensome explanations. 16. “Random allocation of cases. So far it were the judges serving as heads of court divisions who wielded power over the allocation of cases. This lead to a potential pressure mechanism and to possibility of manipulating who should adjudicate in certain “sensitive” cases. The reform changes that – it is now the computerized system that allocates the cases, taking into account judicial specialization and workload of every judge. It is untrue that the computerized random assignment system that has been introduced increases transparency in this respect. Cases were assigned randomly to date, at least in district courts, according to the order in which they were received, which satisfied the international requirements (Recommendation No. R (94) 12 of the Committee of Ministers to Member States). In any case, the citizen was able to establish on what basis his case was assigned to a particular judge. The central system of drawing judges is fully controlled by the Minister of Justice – Prosecutor General, namely by a party or potential party to court proceedings, which is in conflict with international standards (ECHR judgement of 10/10/2000, Daktaras v. Lithuania – Application No. 42095/98). It is in this Ministry that the system’s servers are located, which means that a failure in them will paralyze the drawing of judges throughout Poland. Importantly, the system has not been introduced in the Constitutional Tribunal or the Supreme Court. The rule to date in the Supreme Court was that panels of judges are drawn. They will currently be appointed by the Presidents of the Chambers, whose appointment may be influenced by political factors. In order for the computer system to randomly assign cases to be able to serve the purpose of transparency and uniformity of assignment of cases, the assumptions to the system should be clearly defined and the method of their implementation must be written up and verifiable. Meanwhile, neither the assumptions nor the principle of operation are publicly known – this applies to both the source code and the randomization algorithm. When asked in the procedure of access to public information, the Ministry of Justice refused to provide the randomization algorithm to the e-Państwo Foundation and the Civic Network Watchdog Poland. 17. “Prohibition of transfers. Presidents of the courts could arbitrarily move judges between court divisions, if only they stated that the court needs require it. It was expressly prohibited with the latest reform. Now the judges may be transferred against their will only in extraordinary circumstances, and they always have the right to appeal. It is untrue that the change in the rules on the transfer of judges between departments has significantly strengthened the position of the judge with respect to the president of the court. Although the amendment introduced the requirement to obtain consent for transferring a judge to another division, this requirement may be waived if no other judge in the division from which the transfer is taking place agrees to the transfer. In practice, the problem of changing a division against the will of a judge takes place precisely in the absence of consent from all judges to such a change. Therefore, the amendment does not significantly affect the judge’s situation. A transfer to another division is also possible without the judge’s consent if this is a division in which cases of the same scope are heard. Such a change may also be a potential means of exerting pressure on a judge because, in principle, a transferred judge must continue to hear the cases started in the previous division. In the case of a refusal to release him from this obligation, there is a risk of a significant accumulation of the judge’s tasks, which may be a significant problem for him. The procedure of appealing against the decision to change divisions has been effective since 28/03/2012, so it is not a change introduced in the current “reforms” of the justice system. It is untrue that the changes introduced into the Polish judiciary reinforce the internal aspect of judicial independence, namely the independence of judges in adjudication. This aspect mainly applies to the judge’s character and personality, and reflects his personal independence. It is inextricably related to the external dimension. If the internal dimension were sufficient, no guarantees (protection) of independence would be necessary. The threats of transferring a case to another division or court against the will of the judge, or of an uneven workload, are not the only threats to independence. The realities of the judicature bring ever newer forms and shapes of threats. This applies, in particular, to the so-called soft measures. A very important element is the concern about the groundless instigation of disciplinary proceedings and the awareness of the limits that have been introduced on the right to a defence. The so-called “reform” does not give judges any new measures of defence against threats to their sovereignty and, so far, their only measure of defence is their personal impartiality. It is untrue that the changes introduced into the Polish judiciary reinforce the external aspect of judicial independence. The external aspect of independence means the independence of the judges with respect to the non-judicial authorities (institutions), in particular political parties, and other court bodies. This especially applies to the inability of their supervisors (e.g. heads of court divisions or presidents of courts) to influence the decisions of the judges; of course, this does not apply to control by the higher instances and by other internal judicial authorities. This increase in the dependence of court presidents on the minister translates to the heads of court divisions and then to the judges on the principle of the “conveyor belt”, weakening external independence. Only the independence of the court presidents from the minister, making them “representatives of the judges with respect to the minister” instead of “the minister’s representatives with respect to the judges” and the simultaneous termination of the hierarchic subordination of the various instances of the courts would enable their external independence to be reinforced. The Minister of Justice and his subordinated court presidents have the means to influence the independence of the judges. The Minister of Justice has the power to remove the president of every court. The NCJ can block his decision by a two-thirds majority of votes. The connections with the Minister of Justice mean that, in reality, the new NCJ will not actually be an obstacle. Having an influence on who is a court president, the Minister of Justice gains an indirect influence over the judges: the indirect means of a court president applying pressure on a judge has already been discussed in argument 15. It is true that, according to Polish law, administrative supervisory activities cannot encroach on an area in which judges and trainee judges are independent. However, the manner in which this directive is implemented largely depends on the personalities of the people holding supervisory posts, because the judicial and administrative functions of court presidents cannot be unambiguously separated. For these reasons, the Minister of Justice should not have any powers that could (even indirectly) translate into judicial practice. Meanwhile, he has received the powers to arbitrarily decide about who will be responsible for internal administrative supervision. The fact that certain supervisory powers already existed previously is no excuse, as the current powers are wider and function in the context of the absence of other institutional guarantees of independence (such as the NCJ’s independence of politicians). The Minister of Justice also obtained additional means of applying pressure on presidents and vice-presidents of courts (such as imposing sanctions of reducing the functional allowances and the award of financial bonuses). All these factors mean that there is real threat of the Minister of Justice interfering with the judicial practices of the courts. The amendments to the regulations on the appointment of presidents of the general courts have left the judicial self-government with no say in the matter. The Constitutional Tribunal held that, in order to comply with the constitutional principle of independence of the courts, the law should secure appropriate involvement of the judicial self-government in the appointment of the court president. Consequently, the Act on the System of General Courts provides that the assembly (meeting) of judges of a given court must give its opinion on the candidate for the post of court president and may object to the appointment of a given candidate presented by the minister. If the National Council of the Judiciary also objects to the candidate, the minister will not be able to appoint his candidate to the position of court president. Since the respective amendments were passed in 2017, the minister no longer needs to ask for anyone’s opinion when appointing court presidents, and additionally, he has gained the right to appoint presidents of district courts, who had previously been appointed by the president of the court of appeal. The involvement of the judiciary in the procedure of appointing court presidents is a guarantee of the protection of judicial independence, as it protects the court presidents and, indirectly, also the judges themselves, from potential attempts at exerting pressure on them by the Minister of Justice – the Prosecutor General, who is a politician and performs government tasks, as well as representing the interests of the Prosecutor’s Office. It is untrue that the dismissals of court presidents made by the Minister of Justice during the six months from the time that the amended Act on the System of General Courts became effective were exclusively a response to irregularities discovered in the courts. Most of the dismissals of the court presidents in extraordinary procedures (before the end of the term of office, without giving formal grounds) encountered decisive criticism from the judiciary. The reasons for these dismissals published on the Ministry of Justice website often included false or manipulated data. The reasons for the dismissals most often quoted in the communications were the poor results of the work of the courts headed by the presidents who were being removed. The fact that many courts were short-staffed, for which the Ministry of Justice is responsible, was not taken into consideration. Approximately 880 judges do not adjudicate in courts as a result of the acts and omissions of the Ministry of Justice, of whom approx. 540 represent vacancies in the positions of judges because of the failure to post announcements initiating the nomination procedure. In comparison, the number of judges in the Courts of the Poznań area (one of the largest areas in Poland) is 820, while the number of cases successfully settled in that area in 2016 was 1,122,236. Such significant staff shortages obviously affected the number of cases settled. With reference to the argument that “only around 18% of the presidents and deputy presidents were dismissed” no “purge”, it should be pointed out that the current Minister of Justice only appointed ten court presidents for the 11 courts of appeal (i.e. courts which are at the highest level in the hierarchy of general courts, which are directly subordinated to the Minister of Justice and which exercise administrative supervision over the subordinated courts on the minister’s behalf), including three in place of the presidents dismissed before the end of their terms of office. The dismissed court presidents learned of their dismissals from faxes, and sometimes from the Ministry’s website. It is untrue that all the judges of the Tribunal were appointed in accordance with the law. Three people: Mariusz Muszyński, Lech Morawski and Henryk Cioch were appointed in place of the judges who had been appointed effectively by the Sejm of the previous term of office (Roman Hauser, Andrzej Jakubecki and Krzysztofa Ślebzak) based on a regulation, which, in terms of their appointment was found to be constitutional in the judgement of the Constitutional Tribunal of 3 December 2015 in case K 34/15. The General Assembly of Judges of the CT never held that the mandates of the CT judges appointed by the Sejm of the previous term of office had expired. However, those judges cannot adjudicate because the President prevented them from taking their oaths. Not having taken the oaths does not deprive them of the status of CT judges. According to Article 194, para. 1 of the Constitution, they have acquired this status on the date of their appointment by the Sejm to the positions of the CT judges, namely on 8 October 2015. It should be mentioned that, in its judgement of 3 December 2015, K 34/15, the CT held the statutory regulation about the judges taking oaths before the CT “understood otherwise than in anticipation of the obligation of the President of the Republic of Poland to take the oath from the judge of the Tribunal appointed by the Sejm forthwith” as unconstitutional. It is also untrue that the Tribunal is operating correctly. Should its operations be compared with the year immediately before the constitutional crisis, it would have to be concluded that 55% fewer cases were referred to the CT in 2017 than in 2015, and far fewer cases were referred on substantive issues (in 2016, 54% fewer cases than in 2015, and in 2017 – 32% fewer cases than in 2016). The number of rulings made also declined significantly (in 2015 the CT made 173 rulings, of which 63 were judgements and, in 2017, it made 88 rulings, of which 36 were judgements). Given the changes in the law on the Tribunal and the changes in its application in practice, it is generally believed that the Tribunal has ceased to be an independent body. Loss of public confidence in the Tribunal means that significantly fewer citizens are filing constitutional complaints, fewer courts are filing legal queries and fewer authorized entities are referring requests to the CT. 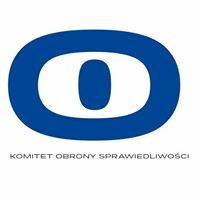 There have been cases of the Polish Ombudsman withdrawing motions from the Tribunal when the panel of judges included judges who had been appointed to positions already occupied. According to Polish law, CT judges should be appointed to the panel of judges by the President of the CT in alphabetical order, taking into consideration the types, numbers and order of receipt of the cases by the CT. The President of the CT may only withdraw from those criteria in justified cases, in particular because of the subject matter of the case to be examined. In 2017, Julia Przyłębska appointed panels of judges many times without observing the criterion of alphabetical order without giving any reasons and made changes to the panels so as to ensure that cases which were important to the government and the Parliamentary majority, the reporting judge would be a judge appointed by the Sejm of the current term of office and that such judges have the majority in the panel. The number of cases in which the membership of the panels was changed is unknown because the Tribunal refuses to provide information on this. However, there are at least dozens of such cases. It is untrue that the Constitutional Tribunal is not politically controlled. It is common knowledge that PiS (Law and Justice party) politicians were visitors to the CT building on various occasions in 2017 and CT judges appointed by those politicians, as well as the judges appointed to the positions already taken met with PiS politicians in the Parliament building. The person heading the Tribunal takes part in ceremonies in the company of the chairman of PiS, in circumstances showing that they are personally close. Additionally, Julia Przyłębska is the wife of the Polish ambassador to Germany appointed to this position by the current authorities, having signed an undertaking to collaborate with the security services in communist Poland. According to the media, Mariusz Muszyński was an officer of the intelligence services in the 1990s, which is information the he has never denied, but which he concealed at the time of his appointment to the Tribunal by the Sejm. It is also a known fact that cases filed by the ruling party were examined in 2017 first and favourably for that party, which is even demonstrated by the very short time for passing judgement on the cyclic gatherings, which gives privileges to gatherings organized by the parliamentary majority (namely the monthly gatherings commemorating Lech Kaczyński and the other victims of the 2010 Polish plane crash in Smolensk). The assertions about the panels of judges “during the tenure of current President of the CT” “compared to the situation under the previous President of the CT” contained in the arguments are untrue. Only two judges “nominated by the current Sejm” were admitted to adjudication in 2016. Therefore, it was impossible for them to have a majority in panels of judges for purely arithmetical reasons, given that the Tribunal, as a rule, adjudicates in five-person panels or en banc. The remaining three people were not permitted to adjudicate because they were not CT judges. In 2017 and in 2018, judges appointed by the Sejm of the previous term of office were not allowed to adjudicate, as they were eliminated from the panels of judges (including at the request of the Prosecutor General – the Minister of Justice), while the membership of the panels was frequently changed and cases in which they had previously been designated as reporting judges were taken away from them. They are also not being appointed to the panels adjudicating on cases of importance to the present government and in which the government expects a specific ruling. If the judges appointed before 2015 appear in these sensitive cases, there is never more than one of them on the panel, so that they can be outvoted by the judges appointed by the Sejm of the current term of office and so that they do not have a significant influence on the ruling. Publication of the judgements of the Tribunal is an unconditional duty of the authority which is obliged by statute to publish them. Therefore, the failure to publish a judgement is clearly and unambiguously a breach of the Constitution, and is a constitutional tort. The statement in the argument quoted above according to which “almost all of CT judgements (…) were published” and the assessment that they were even judgements “issued with breach of procedure” only attests to the breaches of the Constitution to date and proves that the situation is a continuation of the condemnable usurpation of the right to control CT judgements by the executive powers. It is untrue that the “only effect of CT judgements is a removal of unconstitutional provisions from the law” as the publication of a ruling about the unconstitutionality of a regulation makes it possible to contest rulings made on the basis of a regulation deemed unconstitutional (Article 190, para. 4 of the Constitution). Such a statement contained in the White Paper is also false, as it expresses an ahistorical view. When the CT was issuing judgements related to its organization and operating procedures, they directly affected the bases of operation of the constitutional court and the consequences of its rulings. The failure to publish those rulings in the Journal of Laws at the time was an omission which, in fact, despite the Constitution, changed the system of the Constitutional Tribunal and the legal status of its judges. Such practices led to the paralysis of the Constitutional Tribunal and its inability to perform its duties as the constitutional court of the State. The argument in question contained a statement that the rulings, the publication of which is still being refused, “pertained to the statutes that were already non-binding at that time” (sic). The negligent editorial of the text led to absurd wording. However, disregarding this lapsus linguae, the said argument cannot be considered as anything other than a sign of arrogance on the part of the authorities, given that seven statutes on the Constitutional Tribunal were published in the 18 months from June 2015 to December 2017. All these statutes were published in total contempt of the successive rulings of the Tribunal. Moreover, all three rulings announced by the CT in court and published in the official collection of CT judgements, which is currently only published in electronic form and available on the CT website, were deleted from this collection after the replacement of the TK management and then assumption of the post of President of the CT by Julia Przyłębska in breach of the law. This act satisfies the statutory definition of a crime of the removal of documents by an unauthorized person. Never before has any court or the Constitutional Tribunal deleted any of its rulings from the official collection of judgements, removing all traces of the fact that it had been announced. It is untrue that steps are being taken to accelerate proceedings and that, as a result of the amendment (which is not a reform), court proceedings will accelerate significantly. No effective measures have been taken to shorten the proceedings, while the duration of court proceedings is constantly increasing. The analysis of the statistical data shows there is a backlog in courts because fewer cases are being examined each year than are filed. The main reason for this is that the vacancies in the positions of judges remain unfilled (apart from trainee judges) and that the Ministry of Justice is not providing a broadly-understood clerical staff. The general courts in Poland had 517 vacancies for judges as at 30 September 2016. This phenomenon was accompanied by the practice of refusing to allow judges to continue to perform their duties despite their presentation of clean bills of health. This situation will deteriorate even further as a result of the recently enacted reduction in the retirement age for judges. It is an abuse to say that the proposed amendments to the civil law were subject to extensive public consultations. The amendments were prepared by the Ministry of Justice without the involvement of any recognized experts and practitioners in Poland, while the consultations with the judges were solely limited to the judges delegated to the Ministry of Justice. The amendments have not yet undergone a broad public discussion. The Legislative Council of the Minister of Justice drew attention to the fact that “the drafter’s overrating of the role of detailed regulation of procedures intended to accelerate the handling of cases (here, it mainly applies to the casuistic regulation of the organization of hearings), whereas greater emphasis should be placed on organizational and systemic regulations.” Such comprehensive proposals have not been presented. Whether the proposed amendments to civil proceedings will significantly accelerate court proceedings is unverifiable. There is no concrete data or research that would indicate how the proposed regulations will actually shorten litigation. Furthermore, the introduction of some of the comprehensive solutions, such as the reinstatement of separate proceedings for business cases, can result in an extension of the proceedings. One example of the detailed solutions that will certainly lead to an extension of the duration of litigation is, for instance, the extension of the deferral period for publishing judgements from 14 days to one month or the introduction of the admissibility to admit evidence from an expert opinion in summary procedures. The first sentence quoted above is untrue. Neither the current government, nor the Members of Parliament from the ruling party, nor the President held any serious debates on the reform of the judicature. Nor did they present any cohesive draft amendments, which would ensure fair, fast and effective litigation. The Iustitia Association, together with other associations of judges, appealed many times for the organization of consultation meetings; however, there was no reaction. This is an unprecedented situation in which representatives of the legislative and executive powers do not hold talks with the judges. As for the remainder of the argument: this is not a reform of the judicature, because reforms mean changes for the better, whereas these changes are causing devastation to the Polish judicature. The President’s vetoes to the original versions of the statutes regarding the judicature cannot be considered as taking into account the voices of the critics. As a result of the vetoes, the President proposed statutes which are at least as devastating for the judicature as the vetoed versions. Their common denominator is the politicization of the courts. The members of the NCJ will still be elected by politicians – Members of Parliament, which means that the Council and the appointment of judges will be politicized. Changes to the parliamentary majority or the manner of voting in the Sejm do not change the fact that the Constitution of the Republic of Poland and European standards are still being breached. The influence of the judges on the membership of the NCJ will be illusory, which was confirmed by the recent elections to the NCJ. The elections were supposed to have been transparent, but those who nominated the candidates to the NCJ have not been disclosed to date and it is not known whether the elections were conducted correctly. Judges throughout Poland protested against such principles of election. The President’s proposal means that the membership of the Supreme Court will change; some judges will be removed from active service through the introduction of an age limit of 65 years instead of the previous maximum of 72, which will lead to the removal of approximately 40% of the current members of the SC. Two Chambers are to be created: a Disciplinary Chamber (which had already been included in the government bill) and the Chamber for Extraordinary Control and Public Affairs. The politicized NCJ will appoint new judges to the latter, which will decide, among other things, on the validity of parliamentary and presidential elections, as well as referenda. Lay judges will sit in both chambers of the Supreme Court, who, in accordance with the President’s proposal, will be chosen by politicians (senators of the ruling party). The President of the Republic of Poland will publish the rules of the Supreme Court. He will therefore specify the number of SC judges, including the number of positions in the individual chambers, the internal organization of the Supreme Court and the principles of internal operation. The President will decide whether an SC judge can continue in his position after reaching the age of 65. This regulation reflects the equally unconstitutional solutions contained in the Act on the System of General Courts, where the Minister of Justice – the Prosecutor General – performs identical supervisory activities with respect to the general court judges. The President took care to ensure that the term of office of the First President of the Supreme Court ended prematurely. The known method of amending the Constitution of the Republic of Poland with an ordinary statute was used. The constitutional term of office of the First President of the Supreme Court will be violated. The importance of the Minister of Justice was limited only to the benefit of another representative of the executive powers – the President – and not the judicature. Therefore, this limitation of power cannot be considered a promotion of the system of checks and balances. The Minister has, among other things, the powers to appoint the judges of the disciplinary court at the court of appeal. The Minister of Justice will also appoint the prosecutors in these disciplinary courts, the Disciplinary Ombudsman for General Court Judges, and two Deputy Disciplinary Ombudsmen for General Court Judges. This means that a politician will have an overwhelming impact on disciplinary proceedings being handled with respect to judges. The existence of constitutional pluralism in EU Member States is not the same as the conclusion that the Polish reforms are within the boundaries of the autonomy which is the effect of that pluralism and which is protected by EU law. The assumption underlying the autonomy of constitutional identity is that the Member State itself abides by the principle of patere legem quam ipse fecisti,according to which an authority is bound by its own rules and, in particular, its own Constitution. Therefore, breaching one’s own constitutional rules is a denial of the principle of constitutional pluralism and its resulting decision-making autonomy. The pluralism of constitutional identities has clear boundaries within the EU system. They include the common values of the European Union and all Member States expressed in Article 2. Constitutional identity may only apply to the forms of pursuing those values, but not the negation of any of the values themselves. The changes made to the judicial system in 2015–2017 encroached upon constitutional issues because of their scope, depth and manner in which they were conducted. As a result of being a part of the EU, making these changes with ordinary statutes also constitutes a violation of the principle of constitutional autonomy. 27. “The importance of mutual understanding. The EU is based on shared, common values – including the rule of law. European legal system is special – as it is comprised both of national systems AND acquis communautaire. That is why in order to function both the Union and Member States must mutually respect themselves and remain open to withdraw some of their actions if they would too much interfere in the areas reserved for the other party – even if both parties would believe that there are some legal grounds for action (the principle of self-restraint). In appealing for “mutual understanding”, the authors of the argument suggest the existence of two parties: the European Union and Poland. This is a mystification: Poland is part of the EU, and the EU system (including the acquis communautaire) is a part of the Polish system (including national law). The relationships between the EU and its Member States are interwoven, so, when the authors refer to “mutual understanding” they are falsifying the essence of the functioning of a Member State within the EU. Furthermore, we are not dealing with two homogeneous entities. Poland, like any modern country, is politically pluralist and a large portion of Poles has more confidence in the EU institutions than in the current authorities of their State. The fact that some Polish Members of the European Parliament voted for the EP resolution on activating the procedure of Article 7 means that some Poles, including those who voted for those Members of the European Parliament, are in favour of the actions of the EU institutions on this matter, seeing a reflection of their political intentions in them rather than in national institutions. The third sentence of the paragraph (which is false) does not follow from the first two sentences (which are true). This is an example of a non sequitur error. The last sentence is a mixture of misunderstandings and falsities. The statement that the principle of self-restraint applies in the European Union is a falsity. This principle was made up by the authors of the argument and does not exist in the EU, either as a Treaty principle or as a political rule. On the other hand, the alleged excessive interference “in the areas reserved for the other party” is a notion based on a misunderstanding, because it is unclear, who the “parties” actually are. Does it mean that Poland is one party and the EU authorities are the other? If so, the dichotomy is once again based on a false understanding of the role of a Member State in the European Union. Additionally, in the context of the White Paper as a whole, the authors appear to be claiming that the issues related to the Polish judicial system are “reserved” for the “party” which is the Member State. Meanwhile, it is not the case, because national courts are simultaneously EU courts and practice EU law; therefore, the European Union as a whole is highly interested in maintaining and protecting their independence. The readiness to withdraw from actions regarding changes in the judiciary in Poland, which the authors of the White Paper seem to be requesting in the last sentence of the paragraph, would be tantamount to the EU’s indifference to the erosion of the independence of the Polish courts, i.e. institutions constituting a part of the EU legal system – and the EU cannot agree to that. The description of a coup by the ruling party on the independence of the judiciary in Poland as “tension between powers” is a euphemism which blurs the essence of the problem. According to the same principle, it can be said that State X’s aggression on State Y is a sign of “tension” between the states. The response from numerous courts (including the SC), judges and organizations of judges, as well as such institutions, such as the NCJ (before the change) or the Ombudsman, as well as the legal departments of many universities, is not an element of “tension” but a form of institutional self-defence. Attacking the independence of the courts should not be mistaken for “tensions” between branches of power which are, in fact, a part of the democratic system. But there is nothing democratic in subordinating constitutional judicature and then the general judicature to the parliamentary majority and state administration, i.e. in practice – to the leadership of the ruling party. The current public debate in Poland is, at most, proof of the fact that there is still freedom of speech in Poland, although the arguments supporting the government in this “debate” are privileged as the government controls the public media, which have, in fact, become the government media. The Polish “public debate” is not a normal discourse between different positions regarding the view of the common good, but a confrontation between the protectors of the independence of the judiciary (and other institutions, such as electoral institutions headed by the National Election Commission, NGOs, public services, etc.) and apologists of the government who make mass attacks on all institutions independently of the centralized, authoritarian government. It was demonstrated in the response to argument 26 that the principle of constitutional pluralism, to which this argument also refers, does not allow for the breach of the constitutions in force in the Member States, whereas this is what is taking place in Poland. It is also true that the impassable boundary of constitutional identity is judicial independence. Meanwhile, as demonstrated in the responses to arguments 8, 9, 14, 15 and 18, in Poland, this is seriously threatened, while, in the case of the Constitutional Tribunal, it has already been grossly violated. The assertion that Polish judges have appropriate guarantees of independence does not change the fact because, as has also been demonstrated in this document, such guarantees have been breached by the latest amendments to the law. For this same reason, the fact that the solutions implemented by the present government are similar to the solutions that exist in other EU Member States does not constitute an argument against applying Article 7. Our response to argument 13 shows that this is not true. Additionally, the essence of the legislative changes introduced in Poland over the past two years is their multi-dimensional nature: they consist of the paralysis of the constitutional judicature, the assumption of political control over the appointment, promotion and disciplinary actions with respect to judges, and public attacks on the judiciary which, together, are truly frightening. In this overall context, compliance of one detailed regulation with a solution applied elsewhere is of no institutional significance and does not change the fact that the rule of law in Poland is seriously at risk. This argument is irrelevant. As mentioned in the response to argument 29, the similarity of Polish solutions taken out of context to solutions applied by other Member States equally taken out of context do not change the fact that the overall picture of the political attack on the independence of the Polish judiciary fully justifies the application of the procedure of Article 7. Contrary to the arguments of the Polish government, abandoning the application of the procedure from Article 7 may be a dangerous precedent, a precedent of agreeing to an obvious violation of the axiological and legal foundations of the European Union. This argument is essentially a form of blackmail: if you continue your action regarding the state of the rule of law in Poland, anti-EU sentiments may become stronger. Meanwhile, it is obvious that part of Polish public opinion will become sceptical as to the EU’s political power if such action is not taken – this would prove that the values set out in Article 2 are empty slogans. The Polish government’s media have been pursuing a smear campaign against the EU institutions for some time now, accusing them of being anti-Polish. This deliberate propaganda is an effective drive for “anti-European sentiments” and not for decisive actions of EU institutions to protect its values specified in Article 2 of the Treaty. Furthermore, no reasonable person would consider actions taken to protect the rule of law and order in an EU Member State to comprise “a risk of their rights being infringed” – as suggested in the last sentence of the paragraph in question. On the other hand, the restriction of such rights arises from undermining the independence of the courts which, as a result of the changes, will be unable to guarantee just protection of the rights of Polish citizens, independently of political pressures.